I have been a entrepreneur my whole life (or at least starting at 8!) While I did have a couple of jobs over the years, after the last one I am pretty much unemployable. I also have a blog were I talk a fair amount about entrepreneur life and marketing so I am surrounded by entrepreneurs. The first ones are always asking “what should I do” as if they still had a job and someone was going to come along and give them a mission. These are the ones that are always “getting ready to get ready”. You hear a lot about “when I start my blog” or “next month when I…”. But the other kind (my kind) are never waiting for someone to tell them what to do. They have a million ideas and not enough time in the day to implement everything that they would like to do. This post is for them! So let’s start with your life as an entrepreneur. If you are truly un-employable it is best to admit it now and understand that you are going to have to be self sufficient. This does not mean that you can’t have a job if you need to support a family, but in your entrepreneurial endeavors you need to know that there is no Prince Charming coming. Additionally you need to know that you cannot just be an entrepreneur. Yes, there are seasons when your business will overrun your life, but you need to have friends and hobbies and family too. If you are like me, maybe your hobby also is doing something that is money making, but still a hobby. Don’t let your business bankrupt your life. I love Liz Gilbert’s take on this in Big Magic, she says that you should support your work, your work should not have to support you. Finally, make sure you are doing work you love. In talking to 1,000s of entrepreneurs over the years, a fair number of them are unhappy with their work. This seems really weird to me since they are self-employed and what they do is a choice. If you are unhappy with your life more than you are happy, stop right now and start thinking about what would make you happy. Don’t quit what you are doing but start thinking about what you might do! If you are happy with your life, then AWESOME! Move on to step 2. This one is a trouble for some of us. I have struggled over the years with figuring out what to do with my business. I always knew it should focus on Marketing (which I love), but how to monetize it and make money has been a struggle from time-to-time. 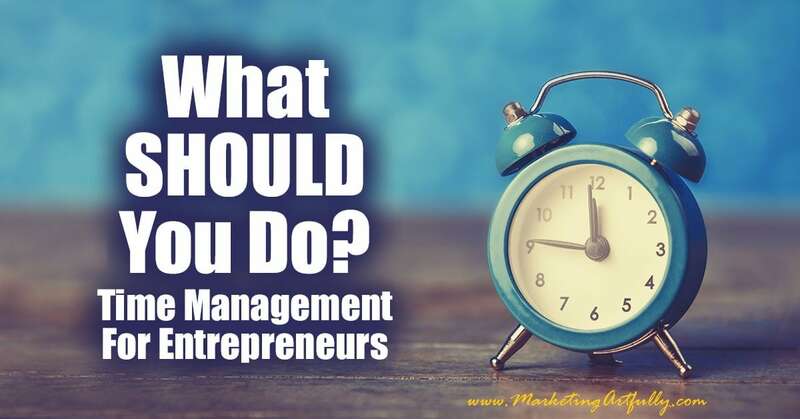 I WAS that entrepreneur for a while who was just asking anyone who I thought had an answer, “what should I be doing?” They gave me advice, some good, some bad, but the problem was that I didn’t have a clear direction so I kept getting off track and winding up doing things I hated. Years ago, before he was “GARY VAYNERCHUK” and was just getting his first book out, I met Gary Vee in person at a small event. He was talking about “finding your passion” in Crush It. I watched EVERY Crush It keynote speech he gave and what struck me was how many people in the Q&A section did not know their passion. While you should have a passion for what you love to do, I am actually a little more with Mike Rowe about this one. Don’t follow your passion. Mike says you can become passionate about something you are good at and I agree! If you are not following him on Facebook, you should be! It strikes me that we often don’t know what our passions are. We think that it is one thing, but it is actually another. For this step I want you to stop and take a break. First off unplug from technology for at least an hour before doing this so there is no one else in your head but you. Next think about what you would do all day, everyday for the rest of your life if you could. For me it is writing and talking about marketing. DO NOT try to figure anything out at this point, just put down what you would choose to do every day if you had a chance. Finally, figure out how you can make that a core part of your business. Seriously. I KNOW it may be hard to see where that comes in, but this is the absolute most important thing. Figure out what you like the most and then make that a focus of your business. If your passion is not the same as what you your business is, don’t trash what you are doing now or fire all of your clients. Often we make these sweeping decisions and then regret them. Instead put your passion on the wall, write it everyday on your planner, tattoo it on your brain so you know that is your jam. And for the next year check every decision against that passion! There is a saying by Bill Gates, “Most people overestimate what they can do in one year and underestimate what they can do in ten years.” I tend to agree with him there! Looking at the shiney new year coming up, it is easy to make BIG PLANS. We can accomplish EVERYTHING and be in a totally new place by this time next year…sigh. That is SO a recipe for disaster. Start thinking about your year in 12 increments (handily known as months) or 4 sections (the quarters). Depending on what your business is, your quarters and and months will look really different. 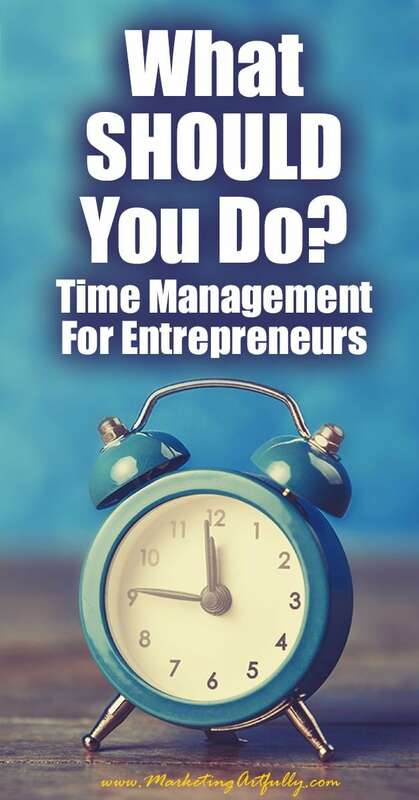 Your business will determine what you can get done in certain time periods. Because such big chunks of an accountant’s year are spent “doing the work”, she really only has 6 months that she can work “on” her business. So put down a list of the months and fill in your big items first. The ones that you know will eat up time or bring in the most revenue. Next figure out when/if you need to promote those things marketing-wise. Write those down. Lastly figure out one or two big things you would like to accomplish this year and have a general idea of when you can do them. Most entrepreneurs have the drive and will to succeed, we just don’t have the common sense God gave a sand flea. We think we can DO IT ALL and thusly wind up accomplishing a lot less than we actually could. Really take a hard look at your year and plan to succeed. The only way you can fail is if you don’t live up to your own expectations. You are self employed so you are master of your own domain. Okay, we are to the part that I love! Everything before this is high level and planning, doing your monthly goals and tasks is more in my wheelhouse. By now you should have a list of things that you want to work on for the month. A good example in my world is fixing my autoresponder emails. That would be a big task that could take a month to do right. There are lots of moving parts and I would be well served by planning it out using a Wicked Good Ideas Packet. Then I know all the steps and I can break it down into 4 manageable parts (over the 4 weeks of the month). A month is a long time and you should be able to get something really substantial done in a month. I do most of my planning month by month. I will plan out a month of blog posts or a month of videos. I will figure out a “theme” for my month and then work against that theme! For example, I write a blog post every weekday in the month of December. This is my fourth or fifth year of doing this and it is really surprising how many of my most popular posts have been written when I am “in the groove” of writing during December. It is at the month level that I think you should start eliminating things! Think about it, if I am writing a blog post a day that is a LOT of time. There are many other things I COULD DO, but I have picked doing blog posts which are two parts of my passion. I think this is the hardest part of getting things done. There are just so many things that seem cool or neat or a really big opportunity. But when we are chasing shiny objects or other people’s ideas, we are losing time towards our dreams and goals. If you would like to read more about this check out How To Cut Things Out and Prioritize Your Perfect Business. A week is really easy to “lose”. It is super simple to dink around a couple of days and find that a whole week has gone by with no real forward progress. A week is where I implement crazy Grant Cardone’s 10X rule. Grant says that we are setting our goals too low and that we need to really amp up what we are doing. For example, if I want to sell 10 planners this week, he thinks I should make enough effort to sell 100 so if I fall short I am still beating my objective. Grant says says 10 times the actions and 10 times the goal will get you the results that you want. One other thing I would like to mention here is are other people’s priorities. When you are planning out your week you can leave time for other people’s “stuff” or not depending on what kind of business you have. I don’t save time for other people so if someone messages me with a task or opportunity or phone call request, the first time I can accommodate them will be the following week. When I started doing this it was hard. Someone would request some of my time on Monday and I would have to schedule them out 7+ days away with the weekends. That felt really pissy. But now that I do it consistently, I wouldn’t change it for the world! I have my whole week planned out and do not have hours just waiting around to be filled. Putting someone else’s to dos on my week would mean NOT doing something I had planned. You should be sitting down either every Friday night for the week coming or Monday morning and planning out your week IN DETAIL. You should know what every day’s goal is and the tasks that you have to accomplish that day to make it a success. If this seems a little wimpy, you should go back and read the rest of the post. If you have planned your business the rest of the way up until now, then your weeks should be easy to scope out. Time block big chunks of your day to accomplish the things you need to do and you are good to go! Dang, it took a LONG time to get down to here! Thanks for hanging in there with me to the MOST IMPORTANT part of what you should do! Your day is the shortest period of time, but doing it wrong has the biggest impact on your business because they happen so often. I have a great example of this in my own business. Just a few weeks ago I felt all out of sorts. I wasn’t getting anything done and I felt like I was dropping balls all over the place. And then I realized, I had stopped writing down what I had to do in a day. Just a couple of days back on the wagon and I am a well oiled machine again! So the first thing you have to figure out is 3 things that must get done TODAY! Today mine are shipping, blog post and paying bills. That is it. I have shipped, am wrapping up my blog post and will do the bills next. After that I can consider the day a “win”. Those are all things that will help my business. I have other things I could do like working on a client’s blog or doing listings, but those are not my top 3 things so I will not be devastated if they don’t get done today. The giant list of to dos…. It is tempting to have a huge list of things to do. Just writing all those things down seems like it will make a huge impact on your business. BUT, the chances of getting all of them done well are pretty much none. So next write down some things that you would like to do today with times attached. You have to consider time in the equation because if you have 4 things to do that each take 3 hours then you will fail for sure. I LOVE checkboxes. Filling them in as complete makes me feel so accomplished! If it is the first, then just don’t do it. If it is the second, then set yourself a time and just do it. Mostly these types of things are not as heinous as we make them out to be and just finishing them frees up so much mental space! So this post is mostly for me. It will not rank well in Google because it is not something that most of us really think about on a day-to-day basis. It is also hard. Being deliberate with our time and goals is harder than floating around like dandelion fluff on the breeze. It takes determination and dedication to start really managing yourself effectively. But the rewards are legion. More time, more accomplished, more money, and greater satisfaction are just a few that come to mind. I have spent the last 15 years setting up systems for how to manage my time, organize my daily, weekly and monthly to dos and lastly how to wrangle my ideas (which are legion). I have set up worksheets and calendar pages that act as bumpers, keeping me in the middle of the lane and working effectively! With over 27 pages of great planner pages, you will be able to make sure your business and life are an organized, well oiled machine. 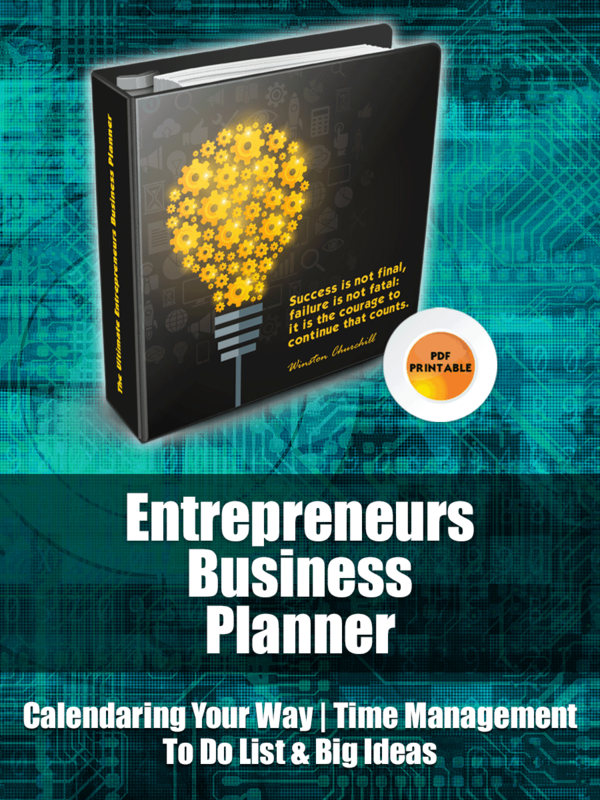 >> Get the Entrepreneurs Business Planner!